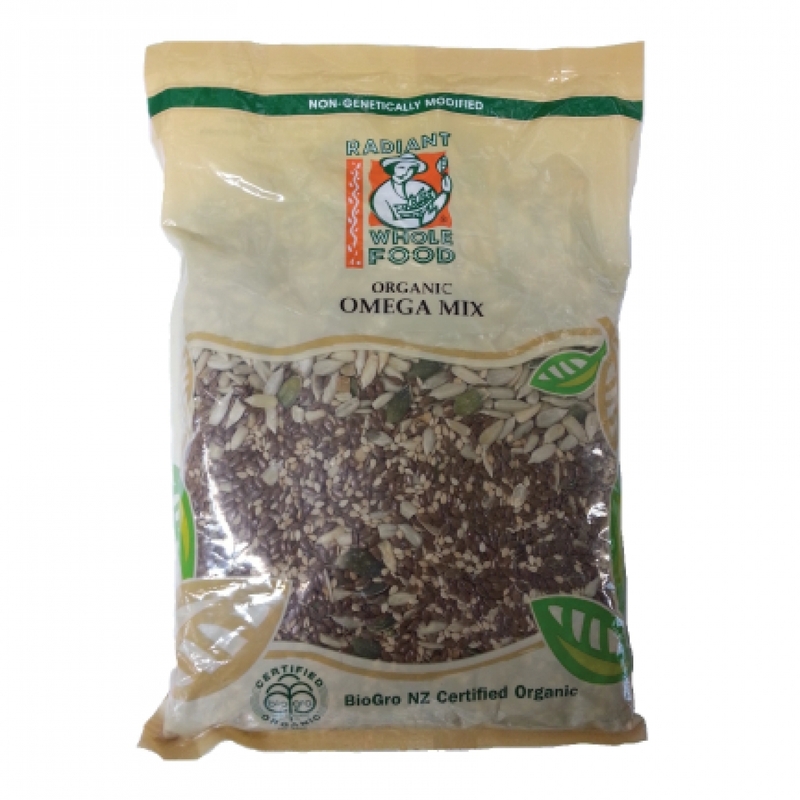 A mixture of raw certified organic sunflower kernels, pumpkin seeds, flaxseeds and sesame seeds, Organic Omega Mix provides Omega-3 and Omega-6 essential fatty acids, vitamins E, B, D and rich in protein for your healthy well being. Make great nutritious nut spreads for your bread. Just blend Omega Mix into paste, add olive oil, sea salt and honey. Add Omega Mix to your favourite tuna, chicken or turkey salad recipe. Garnish mixed green salads with Omega Mix. Sprinkle Omega Mix onto hot and cold cereals.